This ‘B Vitamins PLR package suits the anxiety, depression and stress niches, and also the vitamin and nutrition niches. People suffering with anxiety, depression or stress can benefit hugely from B vitamins! That’s what this package is all about. It discusses how these important vitamins can help relieve anxiety and stress symptoms. You can even break up the report into articles or use it as an optin gift. The choice is yours! Take a look at what’s in this package! Infographics – We’ve created an infographic in 2 different colors, and they create 8 individual B vitamin social posters! You’ll never be short of images to share on the social media platforms. 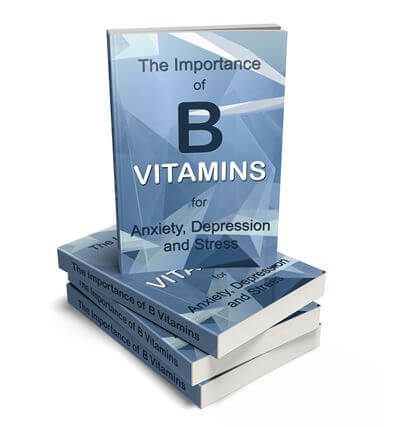 This report is all about the importance of all the different B vitamins in relation to anxiety, depression and stress. 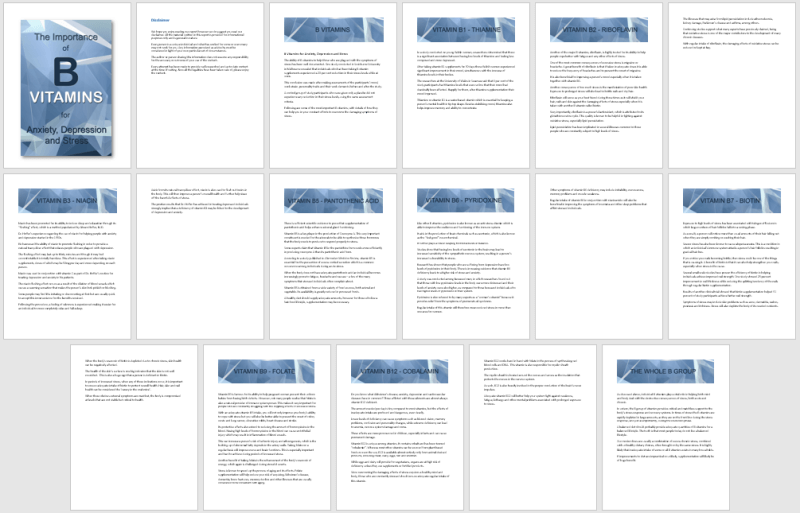 It’s 17 pages long and 2,325 words. Each chapter has a header graphic. It covers all the main B group vitamins. You’ll receive 4 different ecover graphic design formats and the editable PSD file. The main infographics are huge! You’ll receive one with a green background and one with a white background. Plus, we’ve created the infographic so that it can be made into the individual B vitamin mini-infographic. Now the mini-infographics are 800px wide! The main infographic is 800px x 5,417px long!! They are high quality, professionally designed infographics. You’ll be proud to display these on your website! Give your website visitors content they can benefit from!